SEOUL, Dec. 3 (Yonhap) — Gyeongnam FC’s Brazilian striker Marcos Vinicius Amaral Alves, commonly known as Marcao, said Monday he has not decided whether he should remain at his current club next season after winning the top accolade in the South Korean football league. With the scoring title, Marcao was voted the MVP of the 2018 K League 1 season. 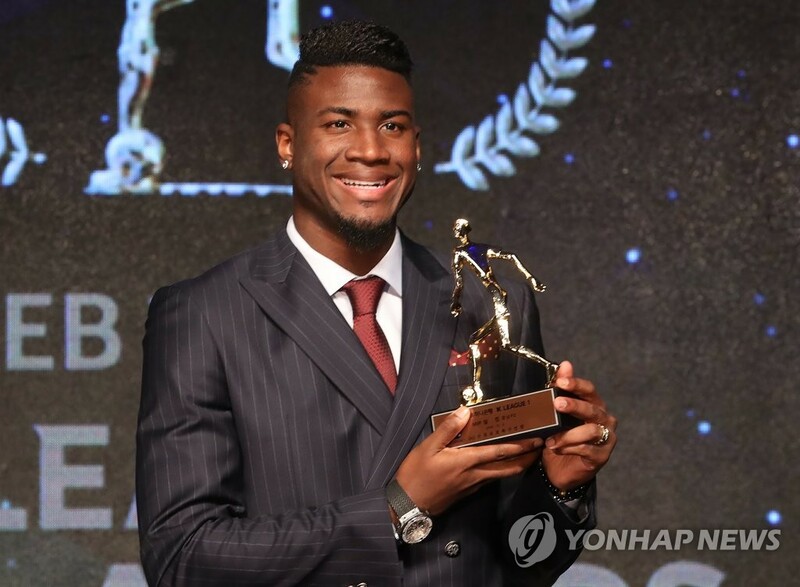 He earned 55.04 points to claim the top individual award, beating out Lee Yong, a defender for the reigning K League 1 champions Jeonbuk Hyundai Motors, who garnered 32.13 points. 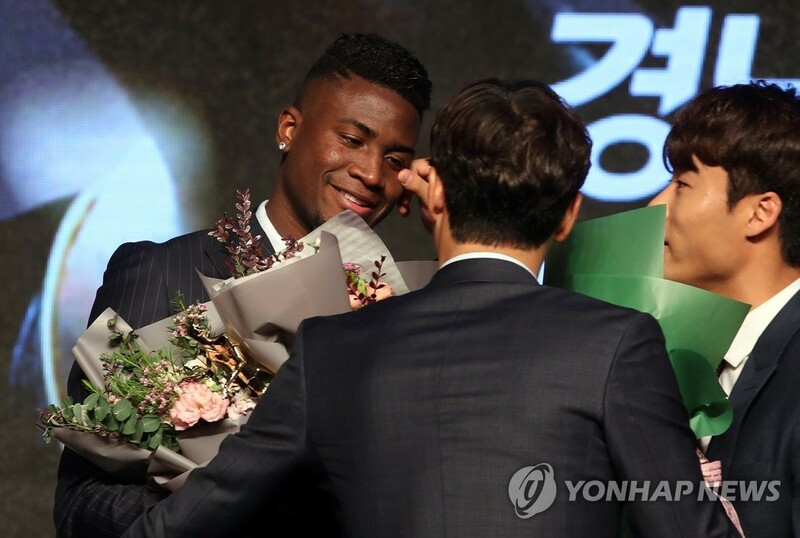 Marcao burst into tears when he received the MVP honor at the 2018 K League Awards in Seoul.